I think cold shoulder styles would be something that would be seen at Target. I am thinking more sweet heart styles, cut-out shoulders and one shoulder styles because they are easy to reproduce at the lower end cost. I also expect structured pants with pronounced waist lines since I have seen this style repeated in his runway collections. Luxury to the masses was once the most coveted political move of any established brand. The idea was simple; start high to gain exposure among the jet-setting crowd and then come up with a more affordable line for everyone else who wants to be like them. However, that idea seems to be going away with the addition of capsule collections (invented by Target and now embraced by macy’s and others soon to follow) which allow designers to offer lower prices for a limited time without have to think about creating affordable clothing season after season. Another occurrence, starting at the masses and then selling to the classes. Let’s talk about the Olsen twins who started at Wal-mart and now have the multi-billion dollar The Row which has won a CFDA award. The Olsens were one of the first celebrity designers to ditch mainstream affiliations, canceling their wal-mart account and re-inventing their line until i can neither afford nor want something from The Row. It is not just the price but the fact they have slowly drifted away from the initial customer that they have insulted those who actually made their business successful. Other more notable designers have followed. Skaist-Taylor launch party at Bel-harbor Neiman Marcus in Miami in late July. The Juicy Couture founders, Pamela Skaist-Levy and Gela Nash-Taylor, have left their not so fairly priced company to build a new company offering higher prices and more generic looks. Skaist-Taylor has just reached Miami shores with a spot on Deco Drive showcasing their new “refined” clothing at the Bel harbor Neiman Marcus recently (the line debuted during February fashion week in NY). A hint towards this new turn may have been the launch of the bird collection with Juicy Couture in 2009 (which used cheap fabric to create demi-tailored looks in drab colors). The bird collection was not successful and we wonder if the best friends can create the fun and youthful look of Juicy in Skaist-Taylor because the new looks are not so appealing and too trend based. The brand is already the darling of Neiman Marcus and there is speculation that Dillard’s may be interested. Finally we saw Betsey Johnson liquify her old company and sell off licenses just to launch a new dress line to department stores this coming spring 2013. She has already stated that the pieces would be paired down from her Betsey Johnson past. We can probably count on short dresses with bright animal prints, a line cuts, and maybe a little twirl appeal. We are sure not to see tulle, bows, lace and sequin. Of course, the prices would probably be lower has BJ is one of the few designers in this run to make the leap from class to mass (even though it was the masses who initially bought those 400 dollar dresses which was way to detailed for the classes). This new collection may appeal more to the classes showing once again that designers are willing to sacrifice their aesthetics to reach that 1% of the population. It seems the sign of the times, corporate america has entered the fashion world and what seemed a more forward push to reach more of the market is now being undone by the lingering economy as 70% is the new 50 and profit margins are the main concern. Our future may solely relay on trend stores like H&M, Forever 21, Tod’s, Joe Fresh and Top Shop. Let’s pray the economy gets better before designer lower end lines begin to disappear. Everyone knows that retail has been hit hard by the recession but with deep discounts at almost every turn, shoppers have a lot of decisions to make on where and how they could spend their money. So why the deep discounts? Retailers are having a hard time clearing out inventory. This fact was evident to anyone who still sees sweaters on sale at 80% in may (I bought one for my trip to New York) due to unseasonable warmth during the holidays. Lesson learned: People are more likely to buy items when they are clearance off during the season then afterwards. So the sales started early this year and wah la, 70% off summer essentials in June!! The sales are so huge, retailers are running out of bags. Recession?…What recession? So what are our top sale alerts? We stopped by this store last night and picked up a pair of beaded sandals that are very tribal and a shimmering backpack – all for 48 dollars!! Aldo has always been one of our favorite go to store for accessories and besides their clearance they are now offering items starting at 20 dollars. The store may only have a few items left (there were empty shelves at Coral Square Mall) but the site still has some great 40% + extra 30% deals. If you haven’t been on twitter lately then you are missing out on the buzz that “triple M” is doing a holiday capsule collection for H & M scheduled for a November release. Maison Martin Margiela is famous for its pant suits loved by celebrities ( a favorite during film festivals) and we have to wonder how such tailored and deconstructed designs can translate to H & M’s fashionable but low price points. We think a jacket in a unusal cut will be the first thing offered at H&M for this designer which of course is my favorite. The designer is famous for asymetrical cuts and pleats so we are sure to see a design like the above (featured in thier FW 2012 collexction). We also know the color red will also be prominent. Well, we are just guessing here. Finally, we think that unusual cuts in skirts will be seen at H&M. Because it is fall, we are speculating long skirts with high splits and multiple tiers in constrasting fabrics. What do you think the collection would look like? Post you pictures on our facebook page – www.facebook.com/TheFashionGoddessBlog and we will tell you if you are warmer or colder or just hopeful. Shoegasim-A feeling of utter joy and happiness that transports you to another plain. That is what happens to me and other shoe addicts when we try on and/or purchase a stunning pair of shoes. I own lots of shoes and have started to get bored with the selections when at DSW shoe warehouse I came across Irregular Choice shoes and was blown away! I tried them on and did a runway walk down the aisle and every head turned instantly complimenting me on the shoes. I was hooked and bought them right away! So I’d like to share this little piece of heaven with you and here is something to sit back and stare at while you are waiting for the barbeque to cook on the grill this Memorial day! Enjoy!! Irregular Choice shoes are very whimsical and feature stunning details like carved acrylic heels, embroidery, fabric flowers and lace. They come in flats, booties, heels, wedges and platform and are priced $89-$200. Say It Ain’t So!!!!!! Betsey Johnson Closing Her Doors Forever!! Jason Wu may have stumpled upon the most romance inspired collection when he teamed up with Target. The clothes combine 60’s classic chic with the fun flirty and sometimes girliness of romance. So the line definitely has a vintage feel with a modern twist as well. The dresses are on trend with floral prints, knife pleats and peplum like waists. The bright yellows and black and white patterns can easily become tribal without religuishing the vintage and romance style. So if vintage and romance is your style (like me :D) then head over to target when this line lands in stores on Feburuary 5th!! Oh did I mention that the line is under 60 dollars!! 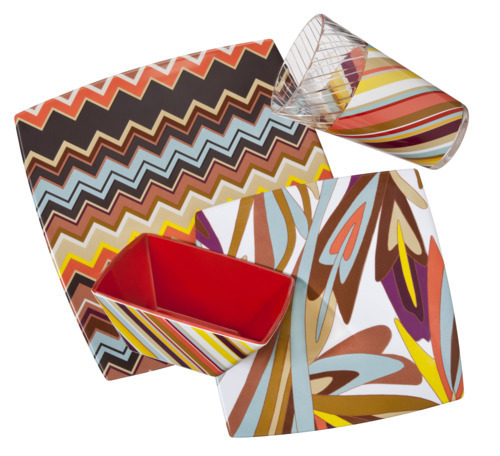 Now just when I thought that you couldn’t get any more blown away by H&M pairing with Versace; Target has thrown in their own huge designer collaboration…..Missoni!!! This is incredible!! 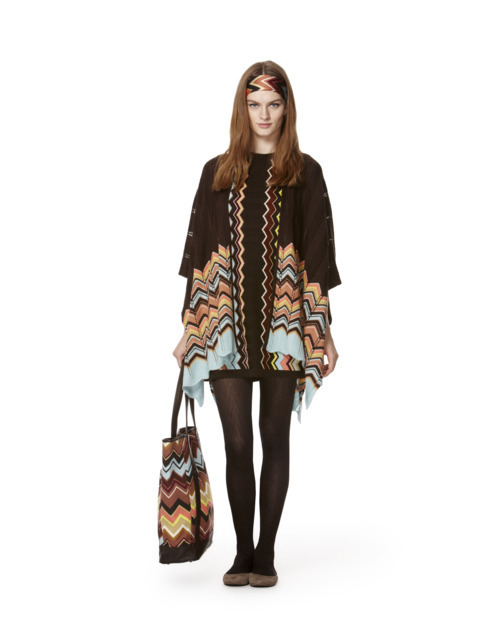 Missoni is known for their stunning woven Ikat (textile dyeing technique) prints in bold and unique color combinations. You really feel like you should be walking a beach in Saint-Tropez. The collection will feature home goods as well as clothing and accessories. It will hit Target stores September 13. The prices will be $8.00-$200. Listen up glamorous divas, this is a deal of the lifetime. Versace is creating a line for H & M scheduled to launch on November 17, 2011! The price range will be exceptionally low starting at just 20 dollars!! Plus the collection will also feature jewelry and handbags! Jewelry will feature rhinestone cuffs, chunky chain and cocktail rings. Handbags will feature the single handle feature we all love. I may not be a glamor girl but the vintage romance in me loves the look of rhinestone jewelry. So Glam/Diva girls mark your calendars!! To learn if this sale is for you, subscribe on the right and a quiz will be sent to you!